TB takes more lives than any other infectious disease and while its global burden has slowly declined over the past decade, the rise of antibiotic resistance (ABR) presents a major obstacle to its control. The study, published today in Science Advances, is the most thorough genomic analysis to date of the most widespread form of TB, called Lineage 4 TB, and significantly adds to our understanding of the origin and subsequent spread of the most common form of TB. The team also mapped the evolution of drug resistant strains to investigate the mechanisms of ABR and found that drug resistant strains of Lineage 4 TB have hardly spread beyond the country in which they originated more recently. "Our findings strongly suggest that at least for Lineage 4, antibiotic resistance is a local challenge present in multiple countries and regions, but with minimal spread between them. Therefore, countries that succeed in halting transmission of resistant strains within their territory should expect to see a massive decrease of drug resistant TB," explained corresponding author Dr. Vegard Eldholm (Division of Infection Control and Environmental Health, Norwegian Institute of Public Health, and previously a member of the UCL Genetics Institute). "This is not to say that we should not be worried about the international spread of resistant strains, as these patterns might well change in the future, especially if the burden of antibiotic resistance keeps growing." For the study, the researchers analysed genome sequences of 1,669 samples of Lineage 4 TB taken at different points in time from Europe, Africa, Southeast Asia, South America and North America. These include samples taken from mummies hundreds of years old up to present day. Each TB strain was positioned on a genetic family tree and its location was mapped geographically over time. Of the seven lineage of TB, only Lineages 2 and 4 are truly global in their distribution, probably reflecting a combination of past human migrations and their more effective transmission relative to the other lineages. Earlier studies have shown that the ancestor of all lineages of TB evolved in Africa 4000-6000 years ago and dispersed out of the continent to the rest of the world. The new results demonstrate that Lineage 4 subsequently emerged in Europe around one thousand years ago before becoming the globally dominant form of TB. They show that the earliest introductions of Lineage 4 into Africa happened in the Republic of Congo in the 15th century before spreading across the continent into South Africa, Uganda and Malawi in the late 17th century. This closely mirrors the European colonial history in Africa south of the Sahara with early Portuguese forts and trading posts established on the Gold Coast (present-day Ghana) in 1482, which was followed by European colonial expansion and internal African migration. 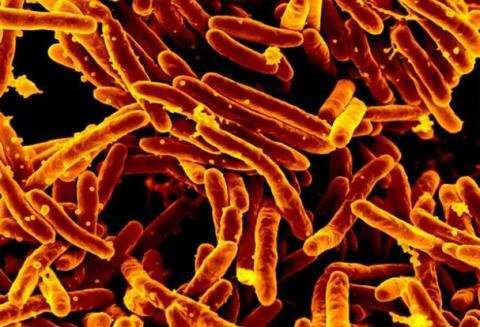 "In Western Africa, Lineage 4 is the dominant form of TB but Lineages 5 and 6 are also common. These lineages cause a lesser disease burden and do not transmit as well. It is likely that with the arrival of the European Lineage 4 replacing less aggressive lineages in this region, TB became a lot more common and virulent," said study co-author Professor Francois Balloux (UCL Genetics, Evolution & Environment). The paper further demonstrates that Europeans brought TB to South America relatively shortly after the arrival of Europeans on the continent in 1492, with a sharp increase of Lineage 4 at the turn of the 17th century. The earliest migration events into North America occurred around the 16th century. By dating and mapping the emergence of every common genetic mutation that causes antibiotic resistance, they found that drug-specific resistance mutations emerged soon after the introduction of every class of antibiotics used to treat TB, such as isoniazid, rifampicin, kanamycin and fluoroquinolones. Rapid emergence of antibiotic resistance mutations is in itself not overly surprising; however, the team did not identify any event of a resistant strain of Lineage 4 TB spreading beyond the country where it initially emerged, suggesting that the spread of antibiotic resistance tends to happen primarily on a regional scale. "Successfully mapping past migration in this level of detail is a key first step to understanding the spread of disease in order to predict what might happen next, which is the ultimate goal," concluded Dr. Eldholm.